DERMO CAPILLARY MASK TREATMENT oxygenates, purifies, balances and revitalizes the scalp; reduces rednesses, itches and prevents any kind of irritation due its bactericidal and germicide action. DERMO CAPILLARY MASK TREATMENT has been formulated for preparing the scalp before receiving an intensive shock treatment. Natural complex composed of essential amino acids and vitamins H and vitamin -B group. provides the hair with silkiness, volume, vigour and a beautiful healthy appearance. 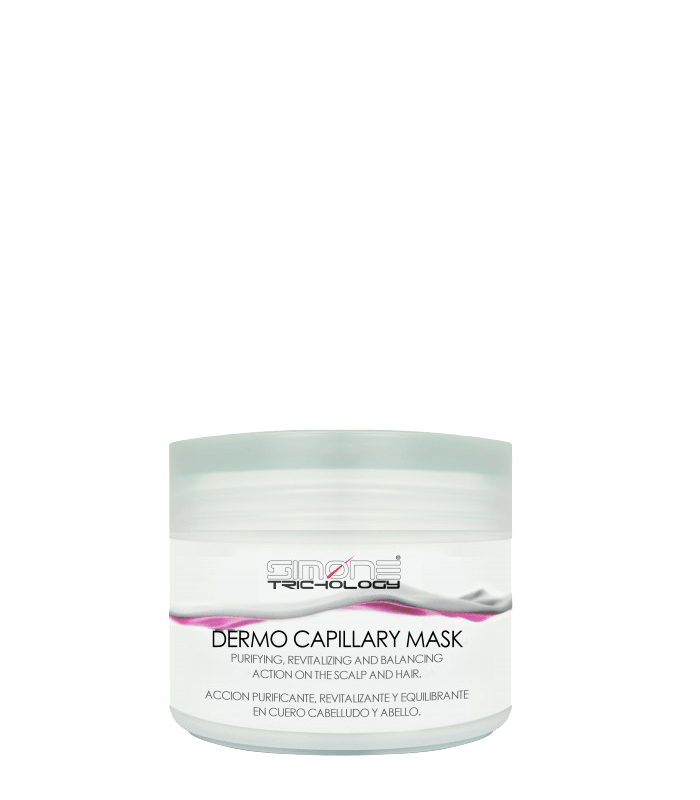 Apply SIMONE TRICHOLOGY DERMO CAPILLARY MASK 200ml once a week directly in scalp before washing, allow it acts during 20 minutes; then wash the hair with an specific SIMONE TRICHOLOGY shampoo. Apply SIMONE TRICHOLOGY DERMO CAPILLARY MASK 200ml after every washing, and allow it acts during 5 minutes, then rinse the hair.